Rodney Wambeam, Ph.D. is a Senior Research Scientist at the Wyoming Survey & Analysis Center of the University of Wyoming. 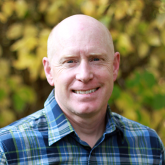 Dr. Wambeam was principle investigator of Wyoming’s SIG and SPF SIG evaluations and is currently principle investigator of Wyoming’s Prevention Block Grant and PFS evaluations as well as Oregon’s SPF SIG evaluation. He is author of “The Community Needs Assessment Workbook” from Lyceum Books. In his free time, Rodney coaches short track speed skating, organizes Muggle Quidditch games, and acts in his son’s movies. Wambeam, R. A., Canen, E. L., Otto, J., & Linkenbach, J. 2013. Youth Misperceptions of Peer Substance Use Norms: A Hidden Risk Factor in State and Community Prevention. Prevention Science. Volume 15, Number 1, February 2014, pp. 75-84. Wambeam, Rodney, Carisa Dwyer & Emily Grant. 2015. 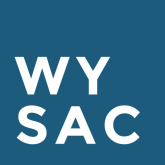 Oregon SPF SIG Final Evaluation Report, (WYSAC Technical Report No. CHES-1514). Laramie, WY: Wyoming Survey & Analysis Center, University of Wyoming. Prevention’s Front Line: What Traffic Safety Can Learn from Real World Efforts to Change Substance Abuse Behavior in States and Communities, NHTSA Driving Behavioral Change in Traffic Safety Summit, Denver, Colorado, 2016. Completing a Rigorous Community Needs Assessment, Breakout Session at the Zero Fatalities Safety Summit, Provo, Utah, 2016. Boomers, Xers, and Millennials: How New Research on Generations Can Inform the Future of Prevention, Presented as a Power Session at the National Prevention Network Conference in Connecticut in September 2014, as a Keynote a the Community Anti-Drug Coalitions of America Annual National Leadership Forum in Washington D.C. in February 2015, and as a Keynote in more than 15 states in 2015 and 2016. The Challenges and Successes of a Scientific Survey of Young Adults: Results from a Quasi-Experimental Evaluation of a Statewide Prevention Project Targeting 18 to 25 Year Old High-Risk Drinking, American Evaluation Association Annual Conference, Chicago, Illinois, 2015. A Simple Suggestion to a Sympathetic Audience, Presented as a PED Talk, St. George, Utah, 2015. Evaluation Matters, Keynote Presentation, Northern California Prevention Summit, Sacramento, California, 2015. Evaluating Environmental Prevention Efforts, 9th Annual Georgia School of Addiction Studies, Savannah, Georgia, 2015. Conducting Rigorous Local Level Surveys, Minnesota Prevention Summit, St Clout, Minnesota, 2015.
training and technical assistance to communities.